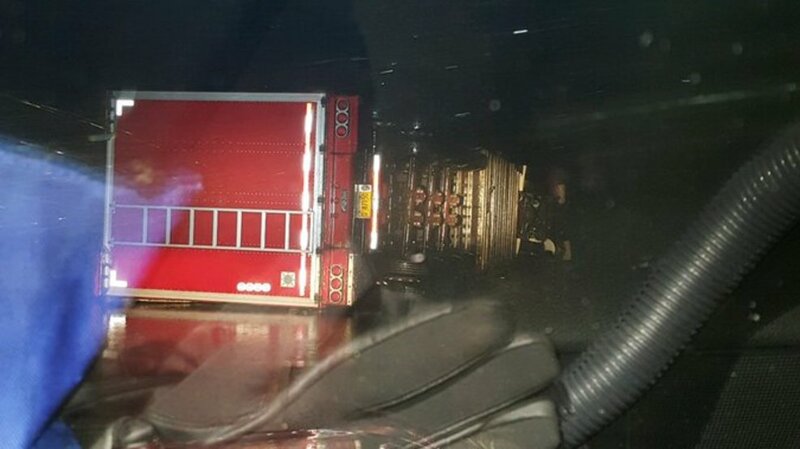 NEHALEM, Ore. – State troopers are blaming wind gusts for blowing over an empty semi-truck and trailer on the Oregon coast. The truck tipped over near Nehalem where Highway 53 meets Highway 101. The semi driver was injured in the crash and had to be taken to the hospital for an evaluation. An Oregon State Police trooper at the scene reported that high winds there were lifting his car. KATU Meteorologist Mary Loos said the sustained wind on the coast was between 25 and 35 mph with gusts reaching the 40 mph range.